Margaret Lock is Professor of Anthropology at McGill University and author of the award-winning Encounters with Aging: Mythologies of Menopause in Japan and North America (1993) and East Asian Medicine in Urban Japan: Varieties of Medical Experience(1980), both from California. Among the books she has coedited are Remaking a World (2001), Social Suffering (1997), and Knowledge, Power, and Practice(1993), all from California. In December 2003, she was awarded the Robert B. Textor and Family Prize for Excellence in Anticipatory Anthropology, of the American Anthropology Association. 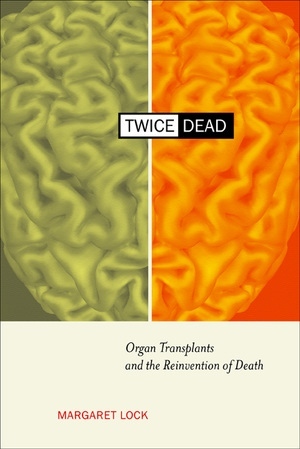 This is an excellent and exceptional book in three distinct ways: first, in making us rethink the recent changes in our criteria for death; second, in the careful comparative anthropology of Japanese and North American attitudes to organ transplants; and third, in making us see clearly the connection between organ transplants and changing criteria for death. What we have often taken innocently as the progress of medicine is an intricate and complex story about the meaning of life and our body parts.—Ian Hacking, author of The Social Construction of What?